Teaching English Abroad? Where are You Watching The Super Bowl!? Happy Weekend! Watching The Super Bowl Abroad? 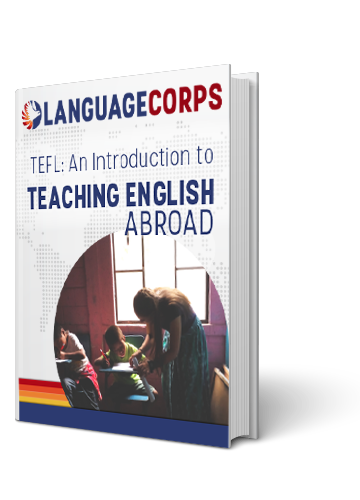 Teaching English Abroad presents a unique set of challenges. Adjusting to new, strange environments, culture shock and homesickness to name a few. But one dilemma we often face while living abroad is not often reported upon: how do I watch my favorite sports teams halfway across the globe!? As an avid American Football fan with a serious case of wanderlust, I’ve watched my beloved New England Patriots in random bars everywhere from New York to Oakland to London. I’ve watched frustrating live streams on my laptop (just when you think it’s done buffering, you miss that epic Tom Brady touchdown pass!) And I’ve listened to radio broadcasts while watching those annoying little live update scoreboard things. Anything to try to capture that feeling of watching my favorite team win on Sunday. So now, in a fortunate turn of events, I find myself home in Boston, working in the office as the Patriots prepare to face the Giants in the biggest sporting event in the history of the world. I’ll be able to watch the game, live on an HD Flatscreen from the comfort of home with some of my best friends. But my thoughts are with all of you out there currently Teaching English Abroad, or living elsewhere in the world. Assuming you care even a little bit about American sports, how do you plan on catching the Super Bowl this Sunday? Will you have to wake up at an ungodly hour to catch the game? Will you download it somehow and watch it later? I’ve already heard from several people that plan on choosing one of the above, and I’m curious what everyone else is up to. I fondly remember watching the 2010 Super Bowl between The Colts and The Saints at “Okay Guest House” in Phnom Penh, Cambodia. The game was shown live at 6 AM, and over a sleepy breakfast, and maybe a beer or two (special occasion! ), I happily cheered as Payton Manning through that critical fourth quarter interception and blew another big game. While some people out there might wish they could be home, watching the game with their friends, I encourage you to think of the positives. I always enjoy watching a game under a different set of circumstances, surrounded by different people than I would at home. It’s a chance to bond and get to know one another over one of the world’s biggest common denominators: sports. If you call ahead, most bars will tell you if they plan on showing the game and when. Also, the NFL Mobile App will allow fans to stream the game live on their Smartphone. And if there are any Pats fans out there? Hopefully you’ll be watching the game with at least one NY transplant, and this Sunday will be all the more sweeter. Have a good weekend and enjoy the game! And if you couldn’t care less about sports, well then, problem solved!